Visakhapatnam is one of the 25 Lok Sabha constituencies in Andhra Pradesh and has traditionally sided with Congress with a few wins in between for the TDP. One of the most striking statistics related to this Lok Sabha constituency is that it has never elected a local in over two decades. In fact, BJP’s Kambhampati Hari Babu won in 2014 but while he received his B.Tech degree, masters and PhD here, he was born and brought up elsewhere in the state. The BJP win the last time around was a striking exception in a constituency where Congress has called the shots for several years. While the party could not secure wins in the 1951/52 and 1957 elections even though it was at its zenith in that decade, Congress has – more or less- held on to the mantle here since. TDP had its debut win here in the 1984 election and followed it up with wins in 1991 and 1992. Congress however roared back in 2004 and 2009 before surrendering to BJP’s overall might in 2014. The BJP appears determined to etch its name in stone here and had asked Hari Babu to step down last year. 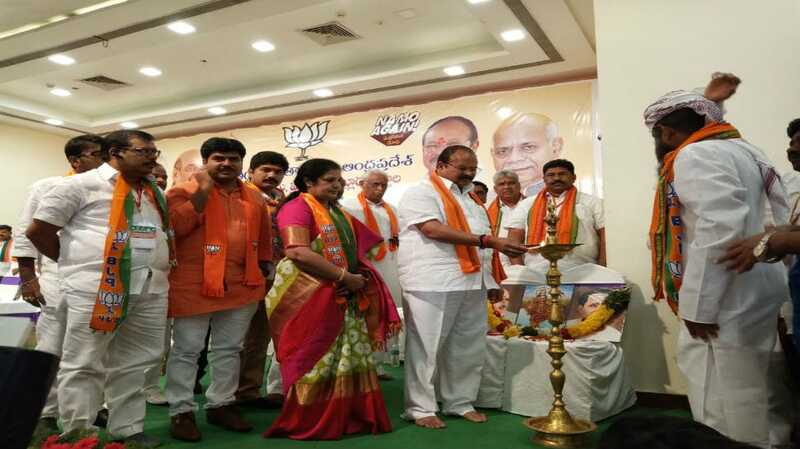 There were suspicions that Babu was soft on TDP – owing to his links with the Kamma community – and the party replaced him with Kanna Lakshminarayana who had joined the party after four decades with Congress. The traditional rivalry between Kamma and Kapu could once again decide the fate of candidates in this constituency even as TDP and Congress appear determined to fashion a win for themselves.